Today, we’re heading out to the 2018 SMSF National Conference, run by the Self-Managed Super Fund (SMSF) Association, the independent, professional body representing Australia’s self-managed super fund sector. Why are we working with the SMSF Association? Superannuation assets in Australia totalled $2.30 trillion at the end of the March 2017 quarter, according to APRA. 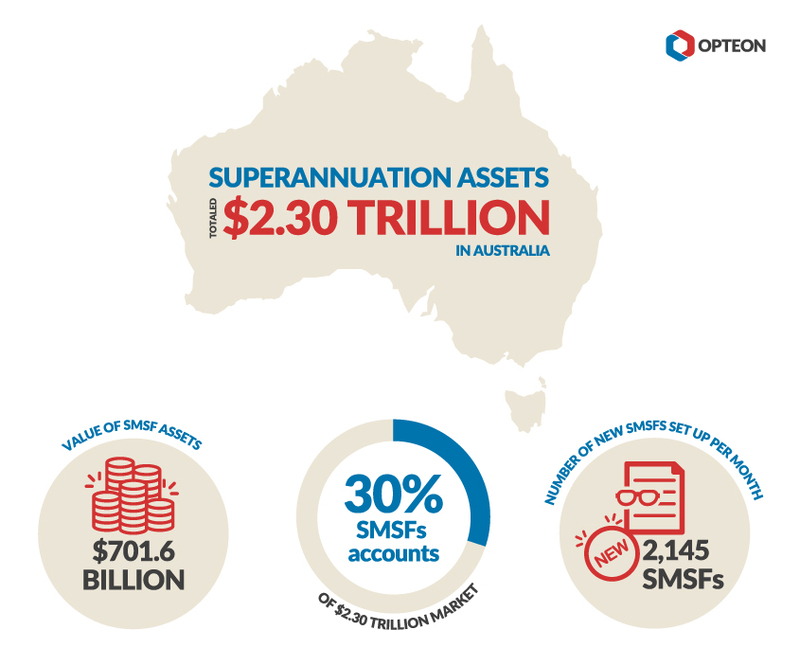 There were a total of 590,742 Self-Managed Super Funds (SMSF) as at 31 March 2017, accounting for approximately 30% of the $2.30 trillion market. The difference between an SMSF and other types of super funds is that, generally, the members of an SMSF are also the trustees. This means the members of the SMSF run it for their own benefit, i.e., Self-Manage their super. The average total balance of an SMSF is $1,030,530. 4% of SMSF’s have a residential property asset in them and around 11% have a commercial property in the fund. These property assets need regular market value assessments as part of annual financial reporting. 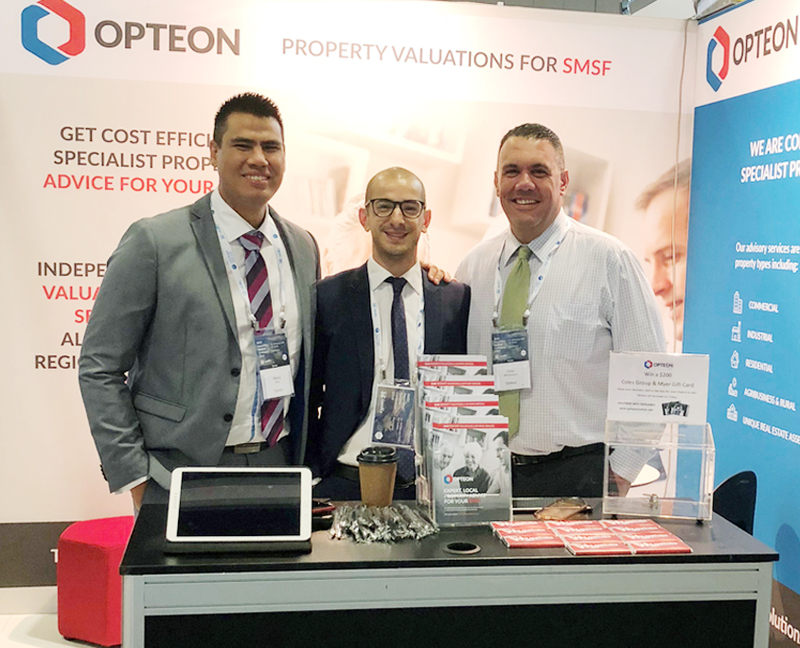 Opteon State Director NSW/ACT/QLD Sally Dale said the team were looking forward to meeting with SMSF managers and advisors over the course of the three-day conference and were also keen to gain insight into current SMSF trends. “We’re here to help the approximately 15 per cent of SMSFs that have property assets within their portfolio with the regular market value assessments they need for reporting purposes and assist with other key property advice and services.”, Ms Dale said. Opteon is attending the conference as the exclusive sponsor in the property valuations category. Click here for more information on our Services for Self-Managed Super Funds (SMSF) Managers & Advisors.